Harley-Davidson Inc (NYSE: HOG, formerly HD), often abbreviated H-D or Harley, is an American motorcycle manufacturer. 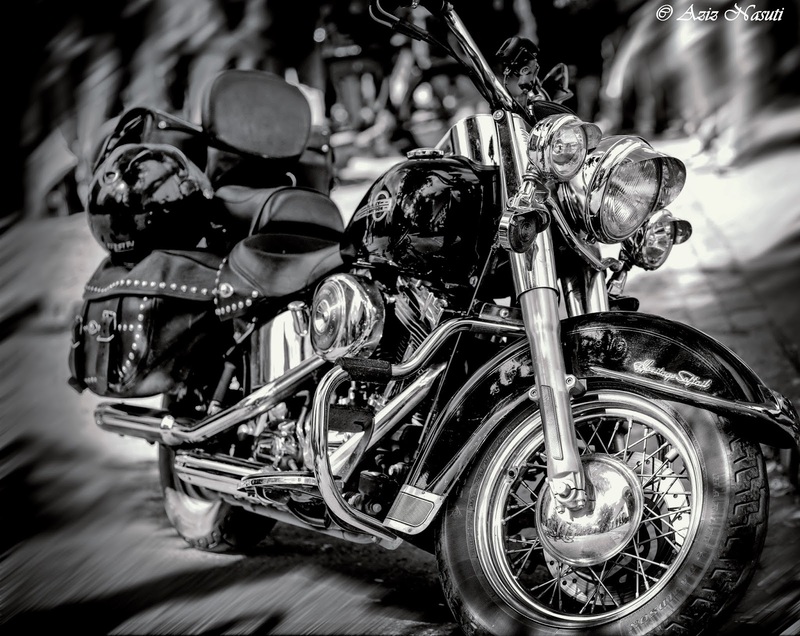 Founded in Milwaukee, Wisconsin during the first decade of the 20th century, it was one of two major American motorcycle manufacturers (Indian being the other) to survive the Great Depression. Harley-Davidson also survived a period of poor quality control and competition from Japanese manufacturers. I have taken this photo in Trondheim city center with Sony A99 and Tamron 90 mm F 2,8.